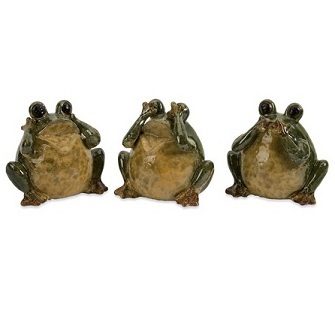 These 3 wise frog ceramic figurines are based on the old Japanese maxim of “see no evil, hear no evil, speak no evil”. The set of 3 shiny green frogs portray each individual frog covering the eyes, the ears, or the mouth. 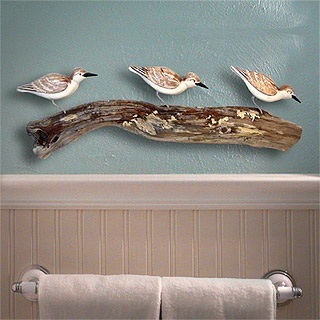 The whimsical and decidedly cute little frogs are a great decorative addition for a home which seeks wise reminders that life really is better and more rewarding when kindness is paramount in our minds and we cultivate good mind, speech and action. The 3 wise frog figurines made from ceramic are based on the more familiar 3 wise monkeys which are known by most people the worldwide. These monkeys were popularized by a 17th century carving over a door of the famous T?sh?-g? shrine in Nikk?, Japan. They are believed to have been inspired by Confucius’s Code of Conduct. It’s thought however that the famous saying has its origins in ancient China. The frog figurines will look great in any room in the home and will be particularly appealing for those with a fondness for frog themed décor. You can buy them here: Ceramic 3 Wise Frog Figurines.